Pierce > News > Lyceum > 1st place for Pierce Zero%Risk team in the Junior Squeezy student entrepreneurship Competition! 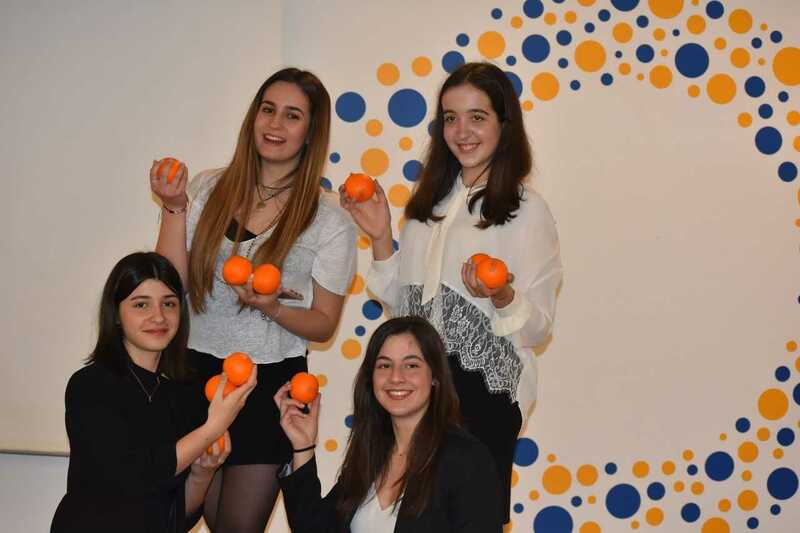 Another exceptional success for Pierce “Zero%Risk” entrepreneurship team which won the 1st prize in the Junior Squeezy competition, among 40 teams from public and private schools coming all around Greece! 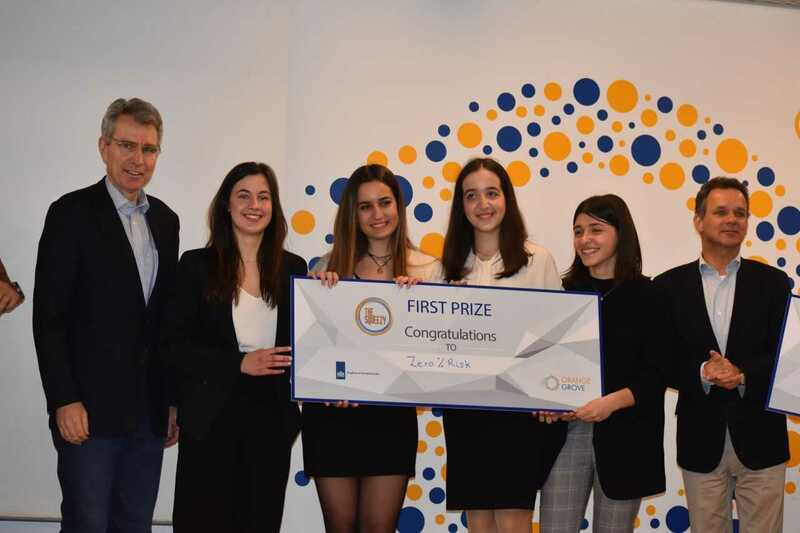 Members of the Zero%Risk team are the following A Lyceum students: Christina Servou, Maria Papangeletou, Nelly Papakosta-Sambatakaki and Victoria Martin-Veneti. The idea of the team was to create an innovative solution to the problem of finding people suffering from dementia or small children who escape the attention of their parents or are at risk of being abducted! The solution is to use a special detector with a bracelet and a mobile app! The idea of the students is technically feasible, economically viable and gives a great answer to an important social need! The Competition was organized by Orange Grove, and on April 5, our students presented their entrepreneurial idea before a Panel of Judges, made up of by: the United States Ambassador in Greece, Geoffrey R. Pyatt, the Israeli Ambassador in Greece, Irit Ben-Abba, the Ambassador of the Netherlands in Greece, Caspar Veldkamp, the Director of Human Resources at Interamerican, Drosia Kardati, and the Co-Founder of Square Athens, Giannis Kehagias and won the first prize. The team will travel to the Netherlands and will be hosted at “The Global School for Entrepreneurship in Amsterdam“!